There is no doubt that green energy is gaining more popularity than ever. New systems are showing up everyday, while more and more people adopt them according to their financial possibilities. There are more or less expensive products out there and everyone can get something useful done for the environment. These days, you may find green ovens, mobile phone chargers, tents, backpacks or lanterns and the list can easily go on. However, for a different category of people, things are quite different. When you count large natural systems working with the solar energy, you count major investments and business-like opportunities. One of the largest discoveries that ravaged the Eco-friendly world in 2012 is the new PTV (Photovoltaic Thermal) system run with solar energy that can provide both heat and electricity, at a faster rate and in way larger amounts. No one can contest the advantages of a natural environment. In fact, this is the dream everyone hopes for, but there are things out there that simply cannot be replaced that fast. The good news is that such things are slowly changing in time. If you can use a solar powered phone charger today, you might end up with an electric car tomorrow. When you count the solar systems, the modern PVT ones consist of a multitude of silicon cells. They are all made out of crystals. Their primary mission is to generate enough electricity. Although the amounts of heat they produce are not that significant, they are definitely worth being taken in consideration. This is a new breakthrough in the solar world, therefore it needs some time to evolve and get enhanced. Improving the new invention is one of the general objectives of the team that came up with it. We have known Solar Photovoltaic systems and Solar Thermal Systems; the ones responsible for the new technology of Solar Photovoltaic Thermal (PVT) systems are Joshua Pearce and Stephen Harrison, two popular researchers with an impressive background and some high quality studies so far. They have not just created the system, but they also tested it in a wide variety of situations. They mostly concentrated on the amorphous silicon cells. Throughout the tests, they noticed the heat the cells generated was significantly higher compared to other similar devices. This is because of the huge operating temperature, not to mention about the electric output coming from the solar energy. The amorphous silicon is clearly more advantageous then the crystal one. It requires less raw materials, while the production is less expensive. The investment brings back more significant financial rewards too. Other than that, the two prolific researchers have reached to the conclusion that the amorphous silicon consists of thick cells when they are under the right temperature, which makes it more resistant. Author Bio : John is a nature lover and tree hugger. Every since his childhood days he always found comfort lying around trees and plants. He decided to work around the nature and now runs an independent biz from where you can get Green house kits and Growing Racks Greenhouses. If you are a nature lover too please do visit his website. 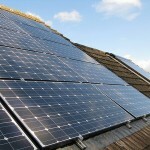 The information and views expressed in this blog post are solely those of the author and not necessarily those of get GreenEnergySavingTips.com or the companies that advertise on this Web site and other publications. Guest author posts may have not been reviewed for accuracy, spelling or grammar. Previous post: Green buildings: bioclimatic design, passive energy systems and renewable technologies.